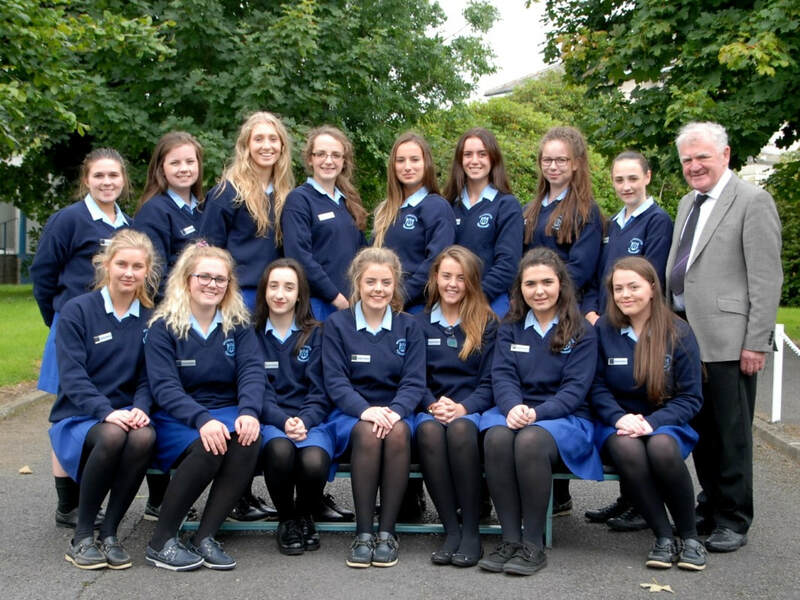 Back row (left to right): Aoife Martin, Kate Murphy, Rose Finnegan, Aoife Sherwin, Amy Tobin, Rebecca Warren, Katie Emmett. 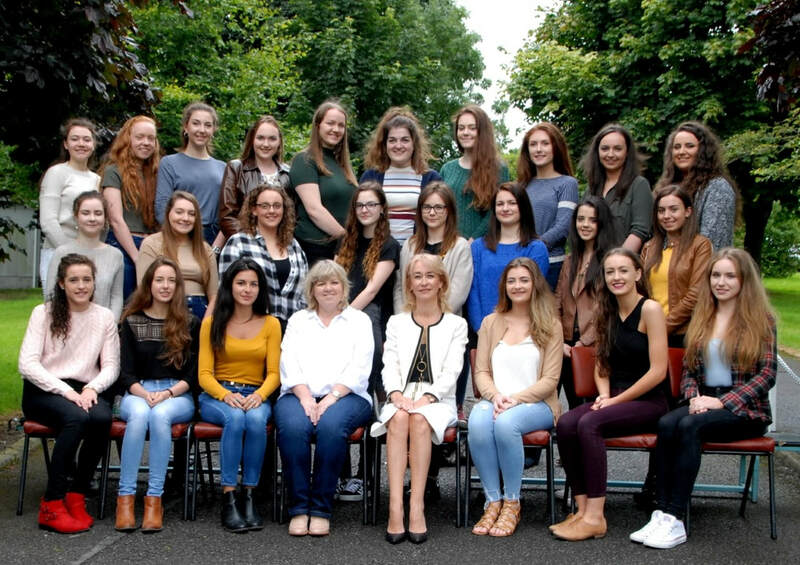 Front row (left to right): Niamh Sheridan, Katie Halton, Aoife Muldoon, Lauren Gibney, Abbie Foran, Nicole McEntee, Rachel O'Dwyer. Also in the photo is John Murphy - FRS Training. 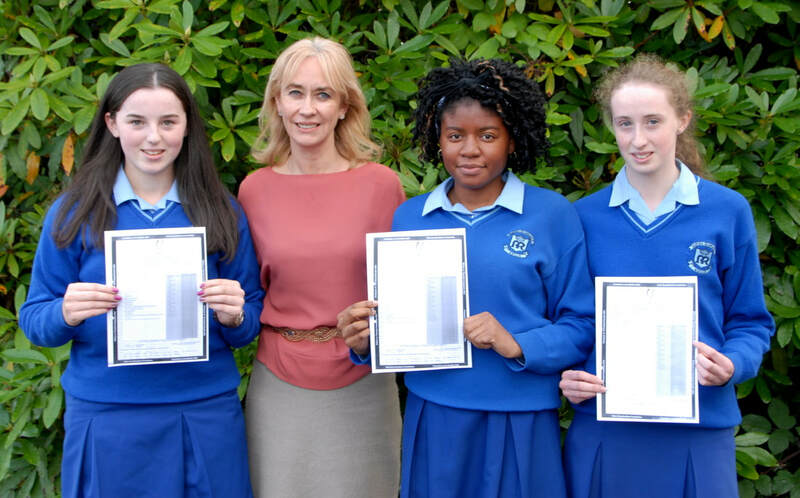 Well done to our first year girls, Áine Rooney, Katie Gibney, Daisy O’Brien and Carys Allen who participated in the Junior Matheson debating competition on Saturday 17th September at Colaiste na hInse, Bettystown. 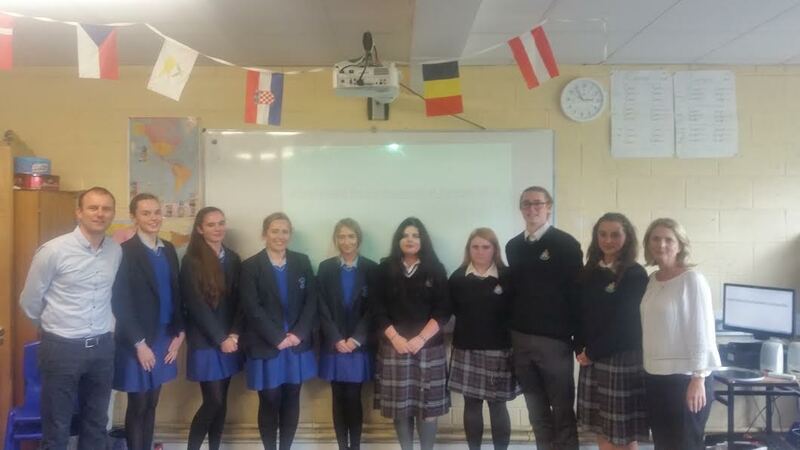 Eureka started off the new season of Senior Spanish Debating with a challenge match against St.Oliver's Community College, Drogheda. 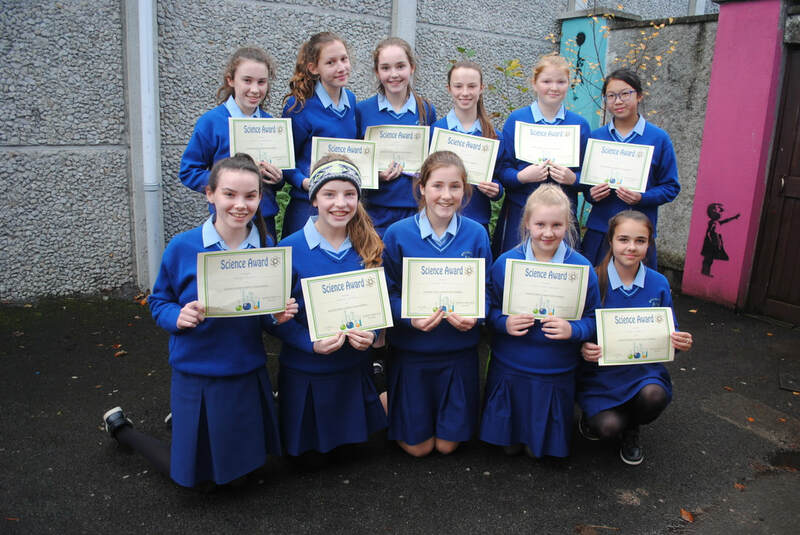 It was a brand new team of girls making their debating debut in Spanish and the team was: Gráinne Cullen, Roisín Sheridan, Amanda Kazak and Aoife Kate Arkins. 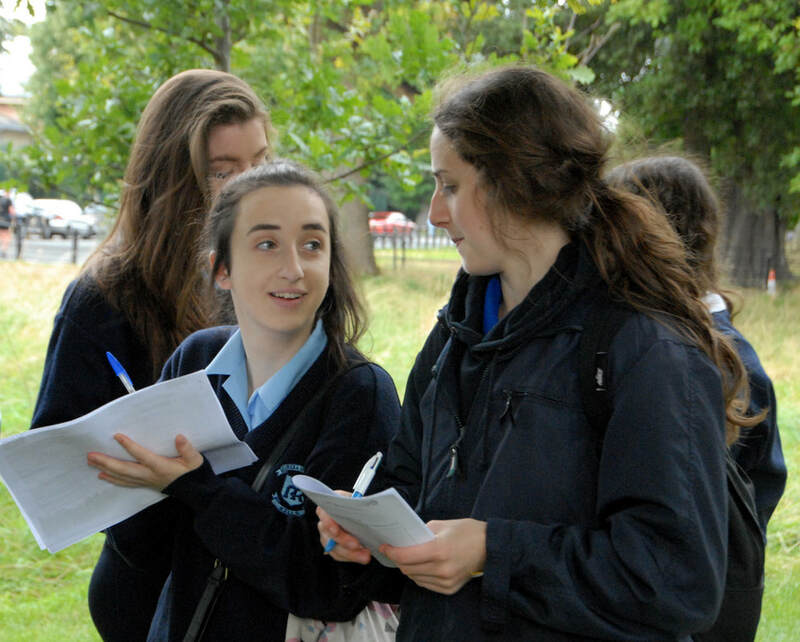 Although the Eureka girls were narrowly defeated in a close contest, the experience should serve the students well ahead of the National competition in a few weeks time. Teacher: Mr. McKee. 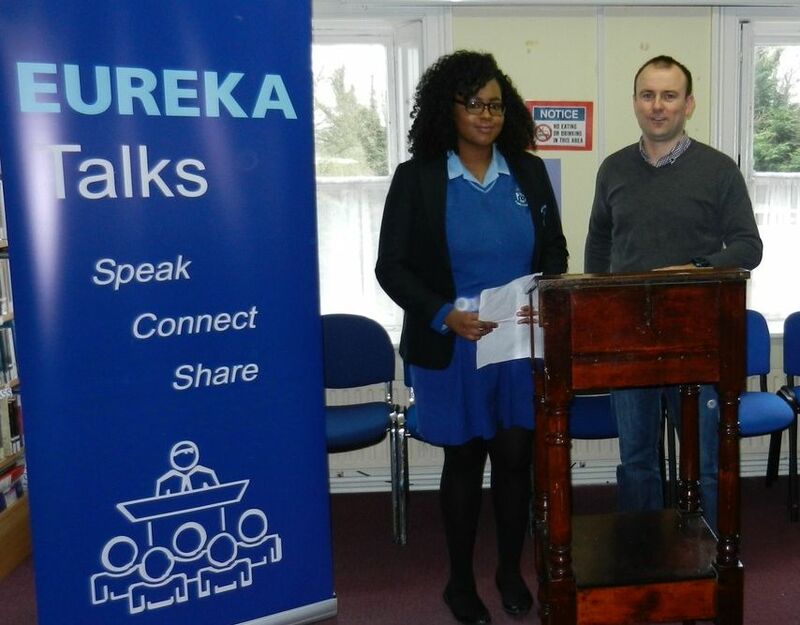 Well done to Fifth year student, Dorchas Salimonu, who gave an inspiring talk as part of our 'Eureka Talks' public speaking programme. 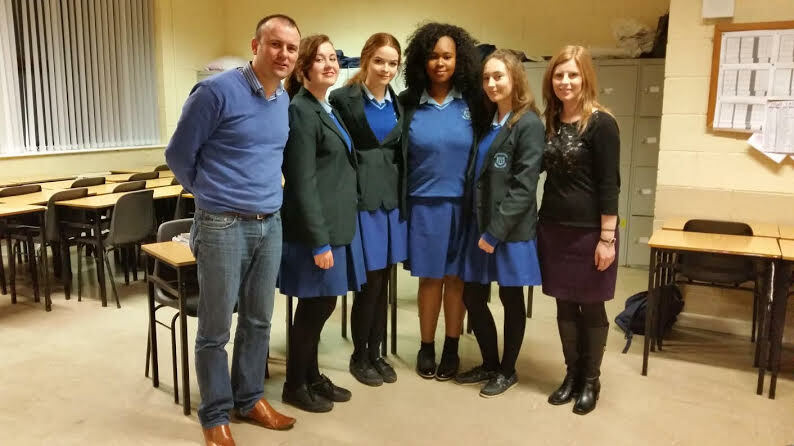 Dorchas spoke on the issue of 'Race Relations' in preparation for her entry into the UCD 'The Speech' competition. We wish her lots of luck in the competition. Teachers: Mr McKee, Ms Carrick & Ms McGrory. 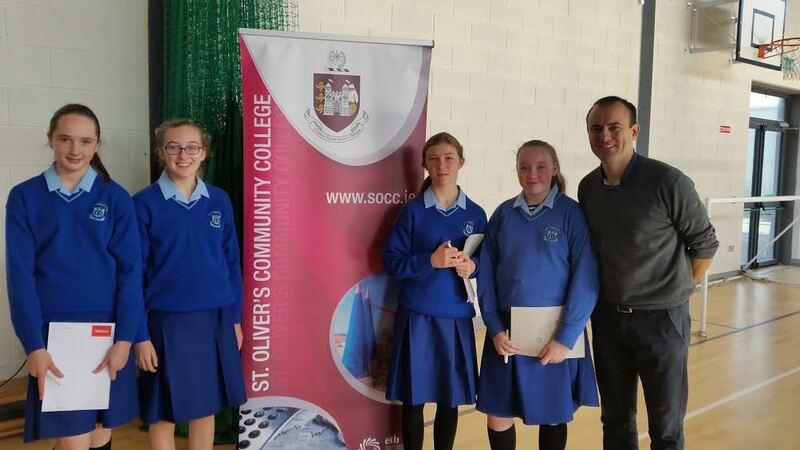 Hard luck to Lauren Shannon, Karen Fenton, Dorchas and Ellen O'Flynn who were narrowly beaten by St.Oliver's Community College on Thursday night in the National Concern Senior Debating competition. As newcomers to the competition this year, the girls are finding their feet, competing well and well done to Dorchas on being awarded best speaker on the night. Teachers: Mr McKee and Ms McMahon. The Eureka Senior Spanish Debating Team march onto the Final! 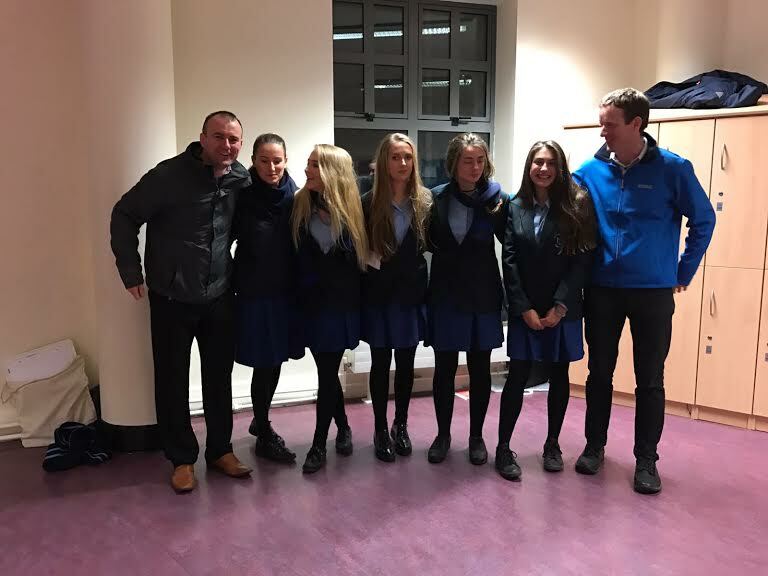 Congratulations to Aoife Flanagan, Rosie Flynn, Amanda Kazak, Samarli Grimm and Amy Tobin on reaching the Shield Final of the National Senior Spanish debating competition after defeating Loreto Beaufort Dublin in a thrilling encounter. 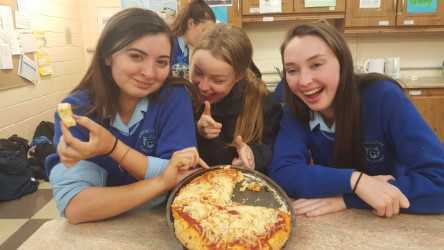 The girls will now face Blackrock College in the Spanish Institute, Dublin on January 19th to try to bring the Shield to Kells for the very first time! Buena suerte! Teachers: Mr Gray & Mr McKee. 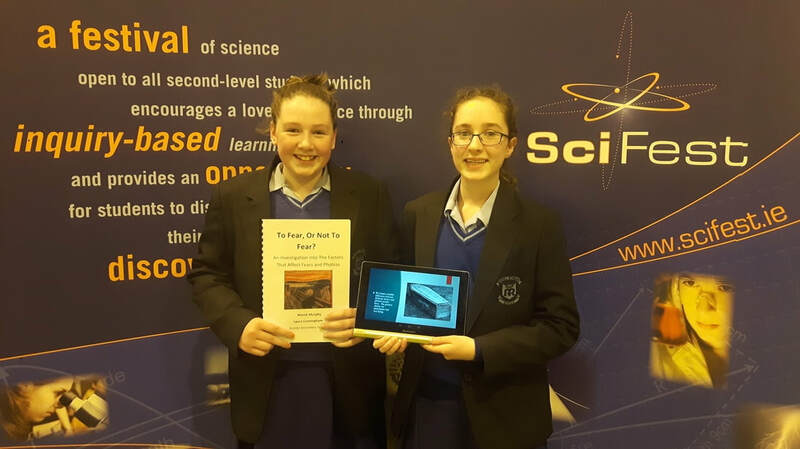 Accompanied by their teacher Mr Stephen McKee, Eureka CSPE students Louise Cullen and Shauna Young made an impressive presentation at Kells Municipal Council meeting where they lobbied local representatives to work with them to deliver a new Youth Cafe for Kells. The girls were highly praised by the local reps for their work to date on highlighting the need for improved facilities for teenagers in the area and a Working Group will now be set up to explore the issue further. 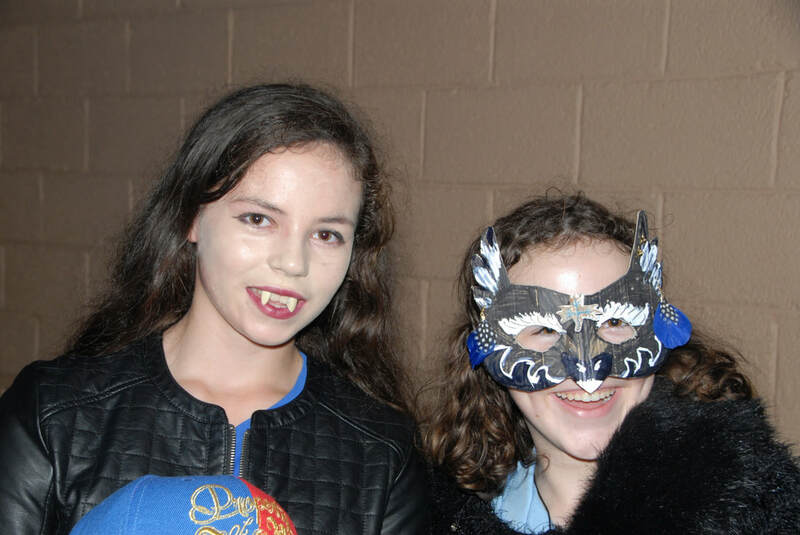 Both Shauna and Louise would like to thank Meath County Council, all the Councillors and in particular the Cathaoirleach, Cllr Sarah Reilly, for facilitating their request to address the Council meeting. 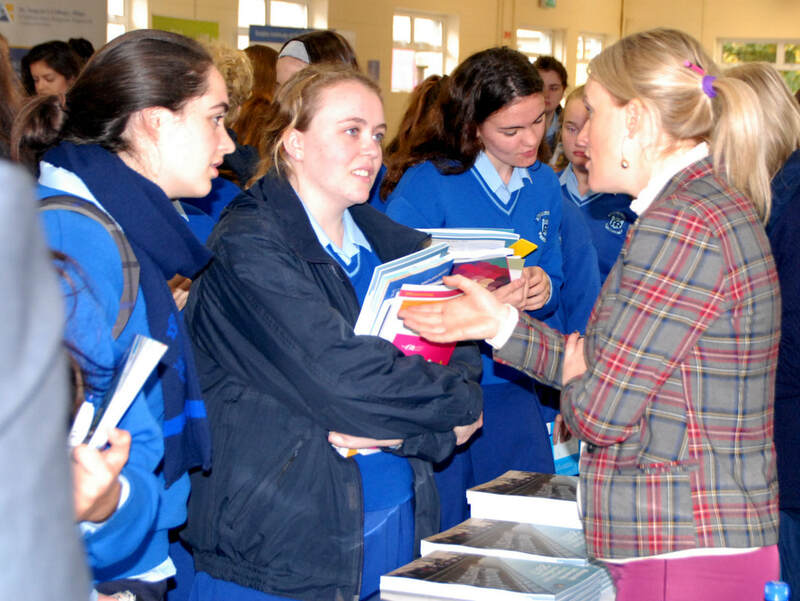 ​Helen McEntee T.D. 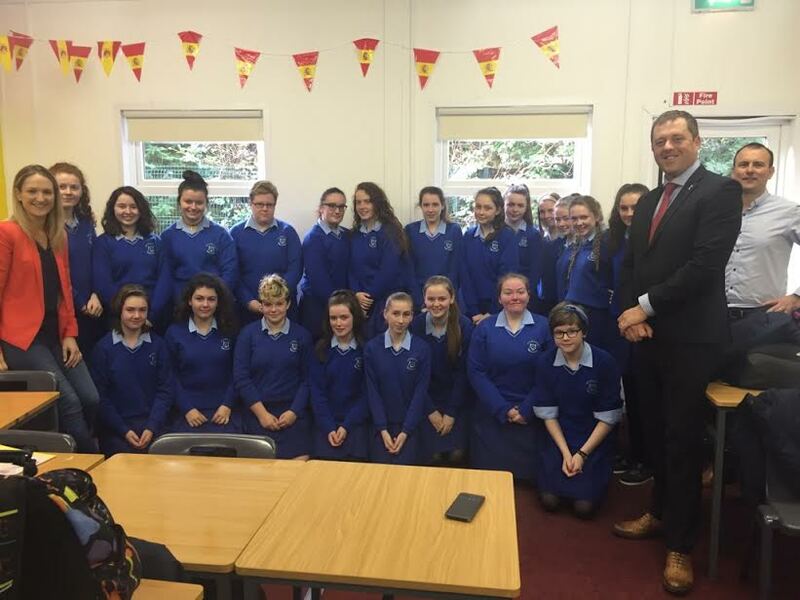 and Thomas Byrne T.D visit the Eureka CSPE Third Year class to listen to the girls' views on facilities for teenagers in Kells. 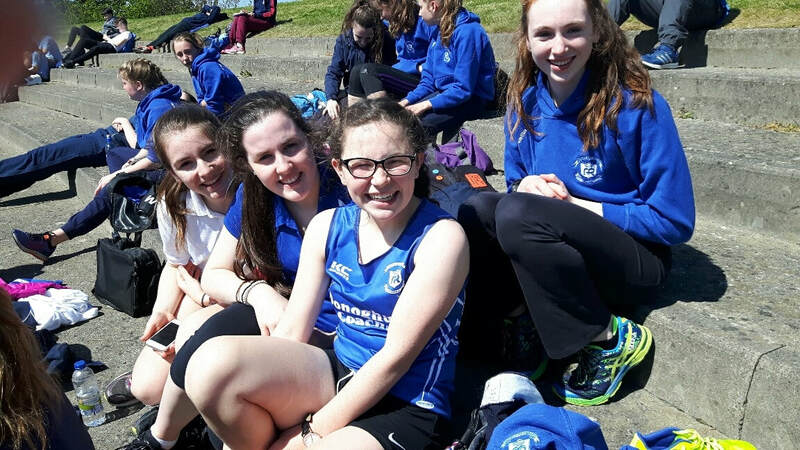 Well done to all students who took part in the North Leinster Athletics Championships - Day 2. 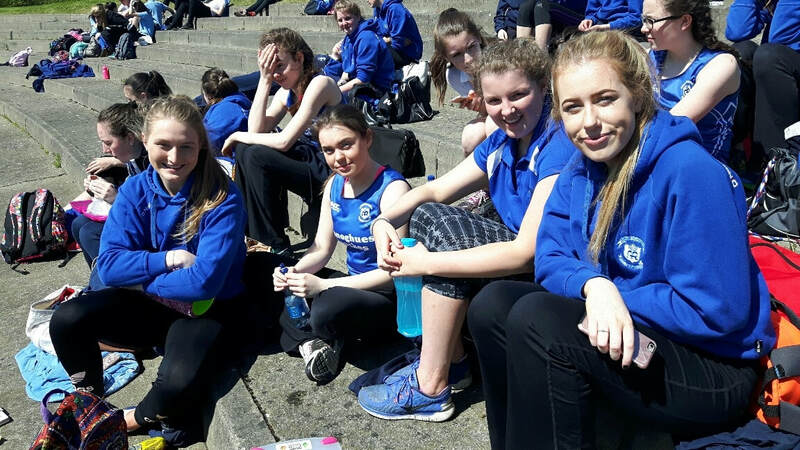 Congratulations to Rose Finnegan who won gold in the Senior 800m and to Áine Corcoran who came 1st in the Intermediate 80m. Teacher: Ms Mimnagh. 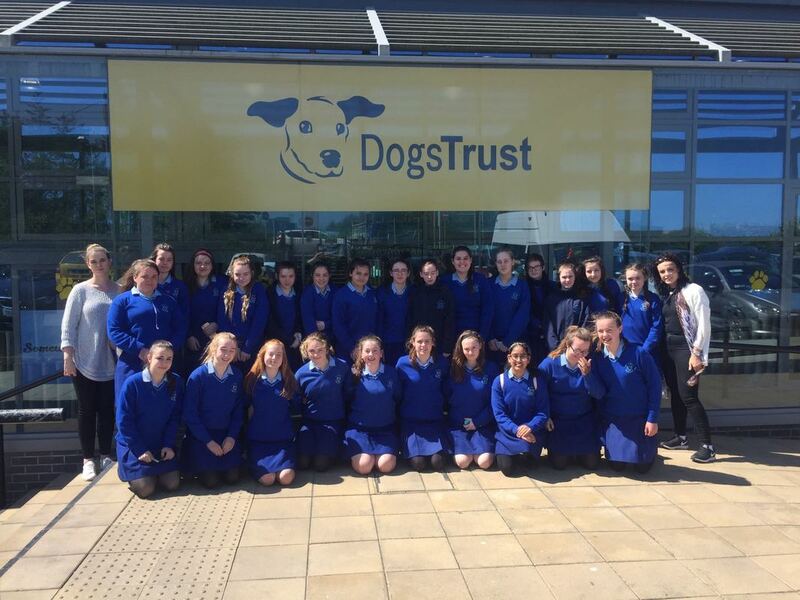 2nd year Rang Blathnaid visited Dogs Trust in Finglas on Friday 5th May. 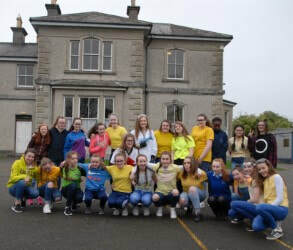 As part of their CSPE Action Project on animal rights, the students researched the work carried out by Dogs Trust and held a bake sale to raise money for the organisation. Sadhgi Kantimahanthi and Emer Cogan presented a cheque and toys to the Education Officer Audrey Gough. 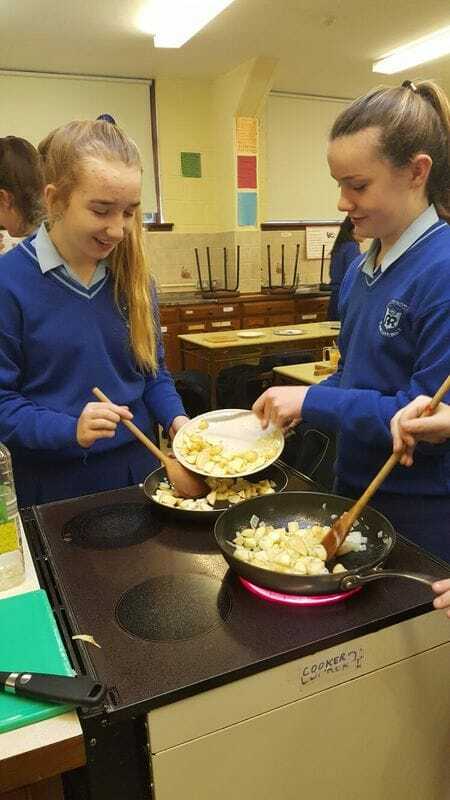 Teachers: Ms McGrory and Ms Toner. 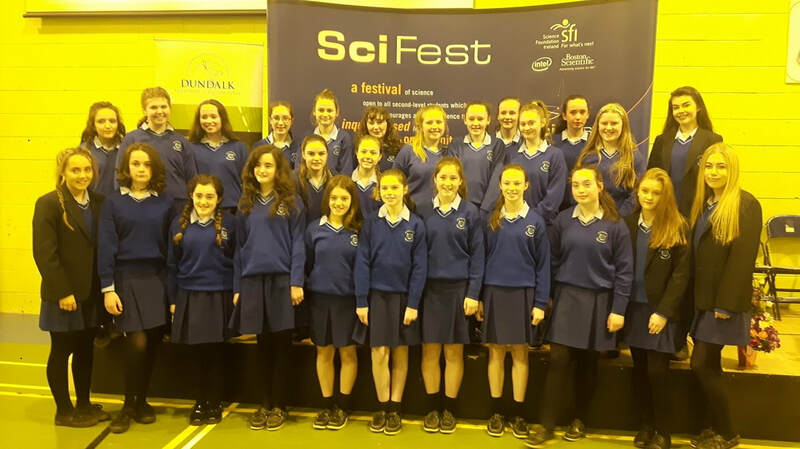 For the first time, three separate teams representing the Department of Modern Foreign Languages in Eureka entered the annual Scifest competition held at Dundalk IT. Teacher: Mr McKee. ​Leaving Cert. 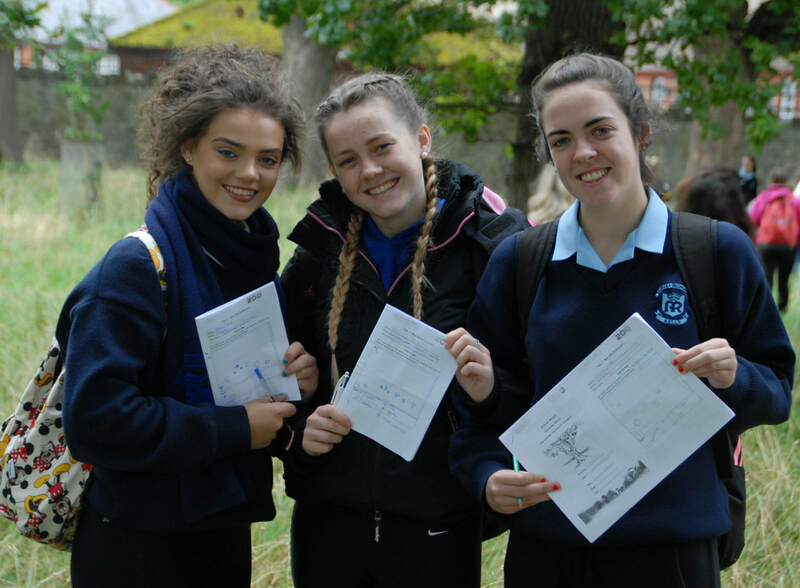 Biology students visit Dublin Zoo to study ecology with their teachers. Ms Byrne & Mr Murphy. 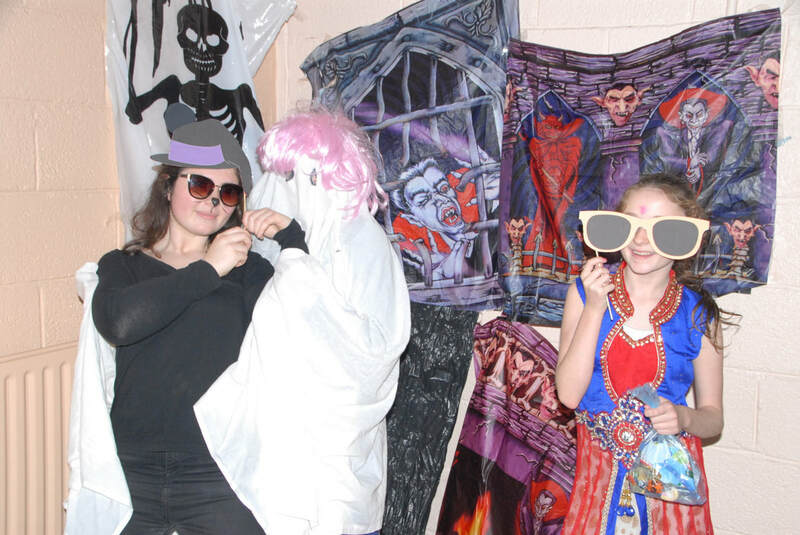 More photos to view on our Facebook page! 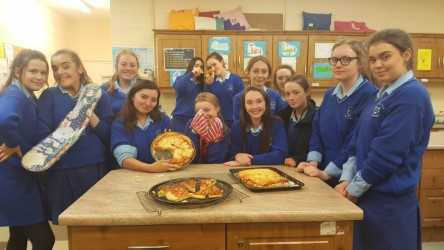 TY Italian Cook - La Cucina Italiana! 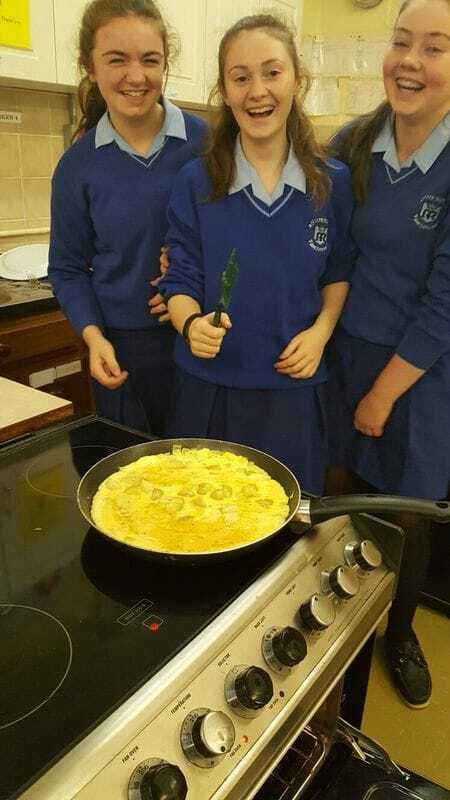 TY students of Italian recently tried their hand at Italian cooking and the result was bravissimo! 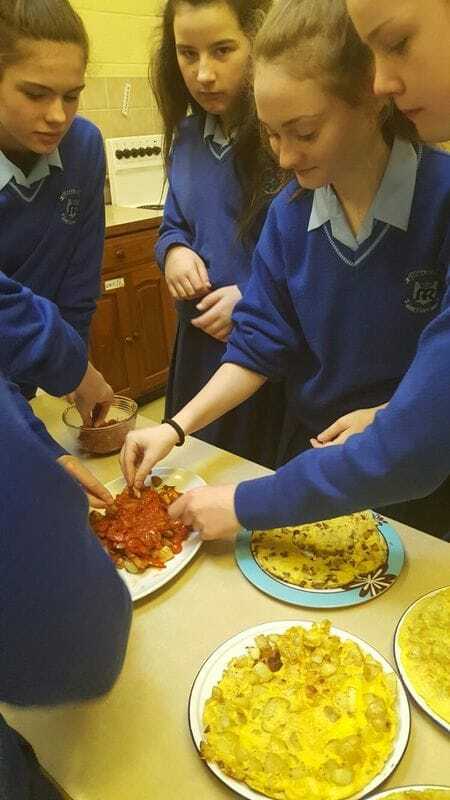 ​As part of Spanish Week, second-year students tried their hand at cooking 'Tortilla Espanola' (Spanish Omellette) and 'Patatas Bravas' (Spicy fried potatoes). They turned out delicious! 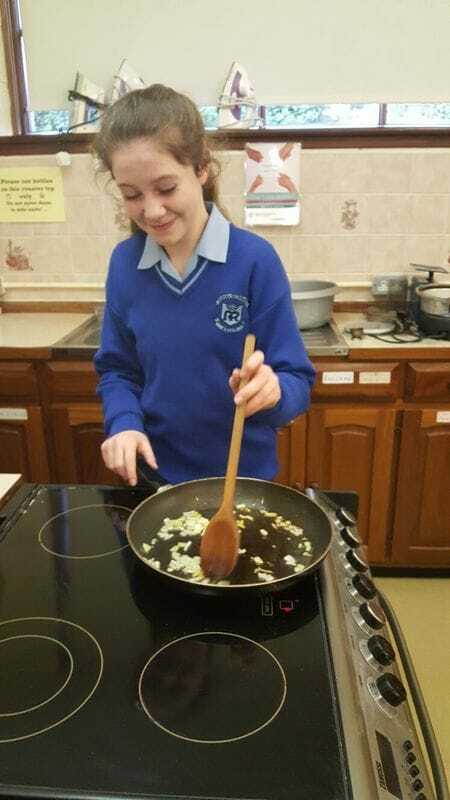 We would like to thank Ms Malynn in the Home Economics Department for her kind help. Also above some students who received more than 500 points. This year 22% got over 500 points and 88% got over 300 points. 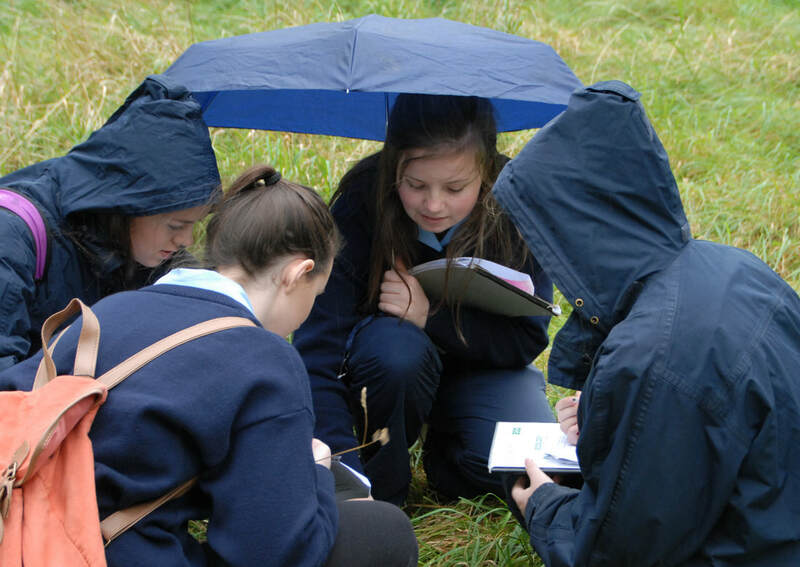 The school is very pleased to announce the official sod-turning for the commencement of work at the site of our new school on the Cavan road, situated between Super Valu and Aldi. 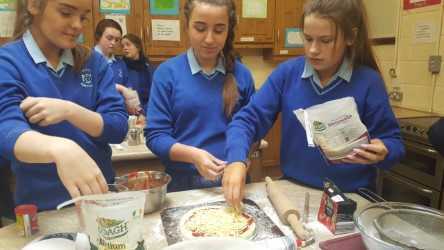 It was conducted by the Minister of State, Mr. Damien English, T.D. at 10.00 am on Friday 29th January 2016.